Akismet still offers free accounts for personal sites and blogs, but has made it a little harder to figure out how to get one. 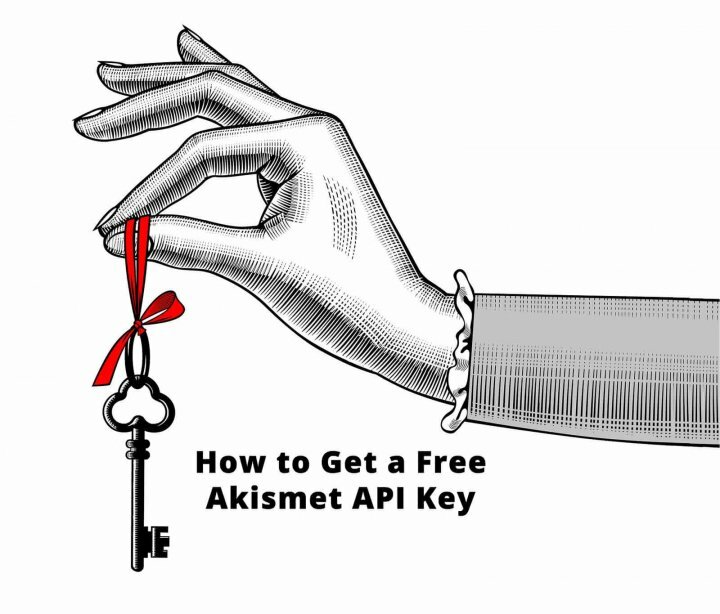 Here’s an illustrated step-by-step to guide you on how to get a free Akismet API key. Akismet is a free WordPress plugin from Automattic (the company that created WordPress) that scans incoming comments for spam, and disposes of them as directed. You may choose to have Akismet trash spam, or hold it for you to review. Either way, it’s an excellent system, and free to use for personal sites. 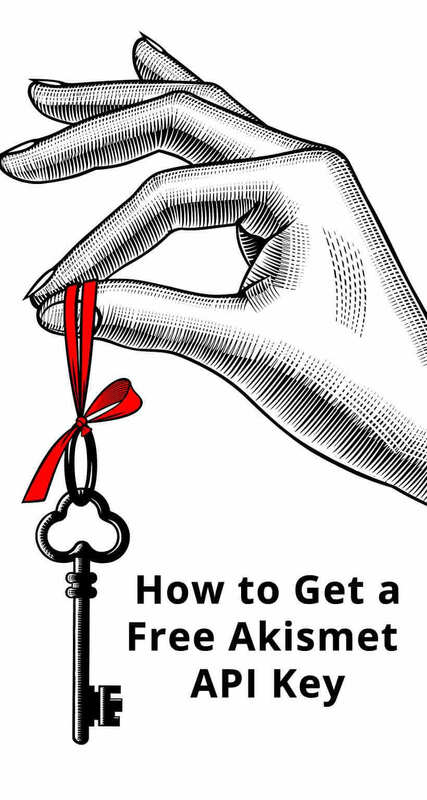 But you do need an API key. 1) Open your WP dashboard and install the Akismet plugin if you do not already have it. 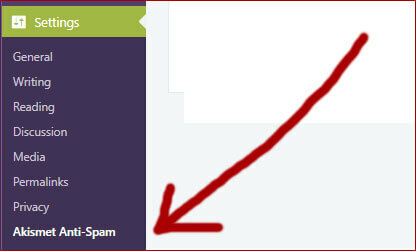 2) While still in your WP dashboard, proceed to Settings, and Akismet Anti-Spam. 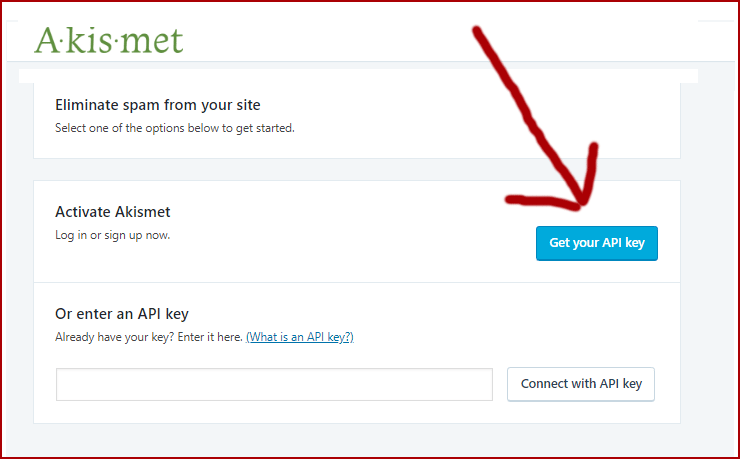 3) Click on the blue “Get Your API Key” button, and login with your WordPress.com account (or create one if you do not have one). 4) Choose a Personal Subscription … then use the slider to pick the amount you want to pay annually. This can be as low as zero, which is of course, free! 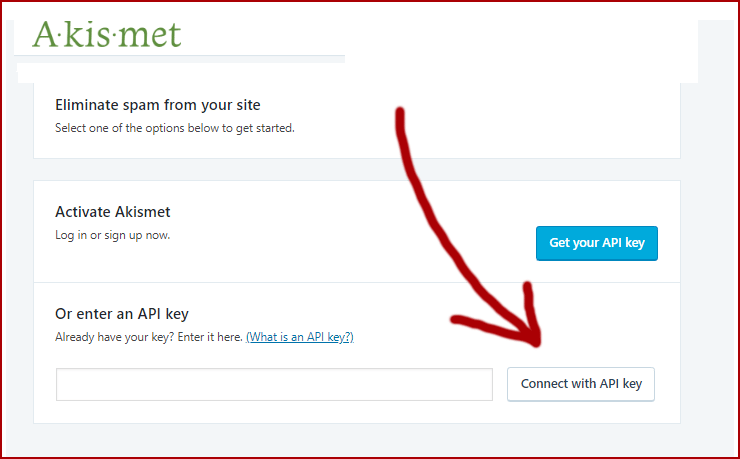 5) Copy your API key, and paste it into your WP dashboard here: Go to Settings, then Akismet Anti-Spam. Click “Connect with API Key”. 6) Save your Akismet API Key in your password manager for safekeeping. You can use it for multiple sites (as long as they are all personal blogs). Nicely you have explained all the steps. I didnt know that we can get the API in free subscription. I am commenting this, immediately after I successfully added the key and activated the plugin. Thanks a lot.